House of Bourbon: Starry Night is Finished! When we started the project of redoing Xavier's room, we certainly never expected it to take this long. Life gets in the way of plans, oh so often, though. 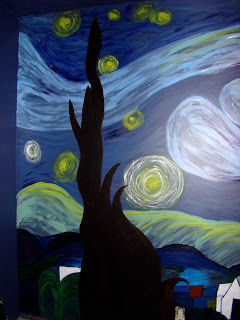 I finished the Starry Night wall today, and I'll start on the planets Sunday or Monday. I can't wait to be done with the painting so that we can start decorating the rest of his room! 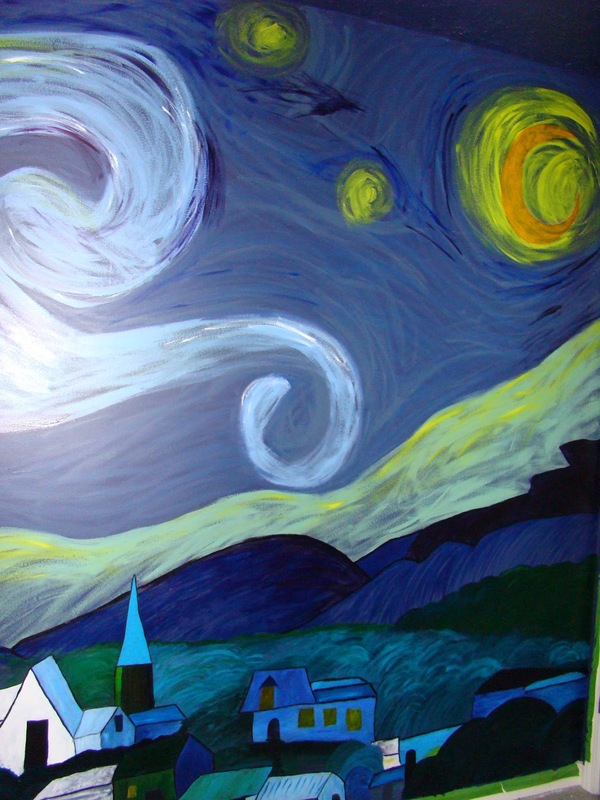 Here is the progression of the Starry Night wall, with a bit of commentary on how I did it. I folded the page into 16 sections, then divided my wall likewise with chalk. Then, I drew in some of the basic elements using the divisions to help me space them correctly on my wall. I started painting in some of the larger elements first. 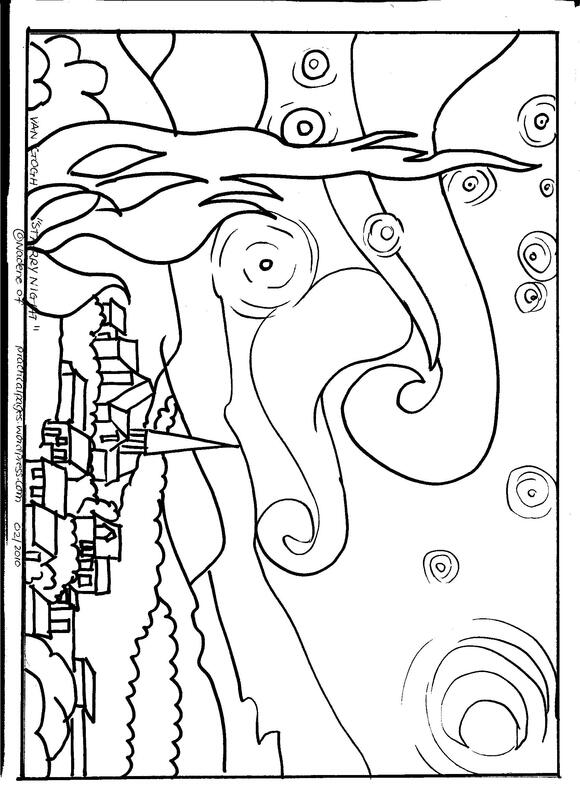 And continued with more of the background, and stars. After I had most of the background worked in, I drew in the town. I even painted some elements in glow in the dark paint. I'll be interested to see how it looks in the dark. I'm very pleased with how my interpretation of Van Gogh's famous work turned out. Beautiful! 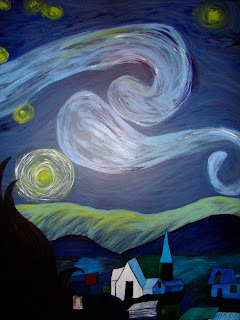 Starry Night is one of my mom's favourite paintings, and you've done a seriously lovely version of it here. I love seeing your process, too. Thank you! I'm so happy with the way it turned out, and I've gotten many thank yous from my son, so I'm pretty sure he's happy, too! Whoa - that is gorgeous! Nice job!